Tavares: "The impact is very obvious. It's going to create a Chinese Trojan Horse in Europe." 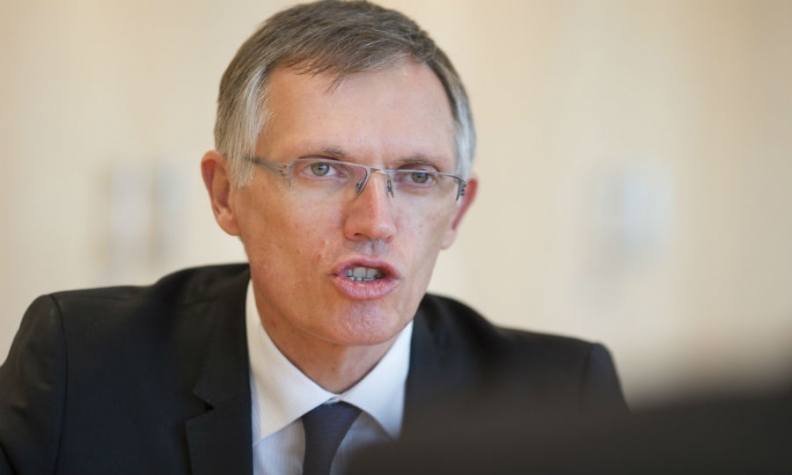 PARIS -- European Union fines for companies that miss tougher CO2 reduction targets could bring a major European automaker "to its knees," allowing a Chinese buyer to step in with its own electric vehicle technology, PSA Group CEO Carlos Tavares said. Tavares, who chairs European auto industry lobby group ACEA, said that policymakers had failed to anticipate this outcome of the EU's 2020 CO2 goals. "The impact is very obvious. It's going to create a Chinese Trojan Horse in Europe," Tavares told an industry event hosted by French car magazine Le Journal de l'Auto. His outspoken comments come against a backdrop of rising trade tensions between China and the U.S. and wider concerns about growing protectionism worldwide. They also underscore concerns about foreign influence over European manufacturers, jobs and technology, which have risen since China's Geely snapped up 10 percent of Germany's Daimler in February. "If a European carmaker missed its (CO2) targets and was brought to its knees by fines, it could not be acquired by another big European carmaker purely because of antitrust rules," Tavares said, without naming any manufacturer. That would create the opportunity for a foreign investor to bring in the kind of technology "imposed by European authorities, which means electric vehicles," he said. "And who's the leader in electrification? It's the Chinese," he added. Paris-based PSA, itself 12.2 percent-owned by China's Dongfeng Motor, has accelerated new vehicle development at Opel and Vauxhall after uncovering what Tavares described as hidden CO2 emissions problems following the brands' acquisition from General Motors last year. Thanks to the extra investment, the group maintains it is now on track to meet CO2 goals averaging 95 grams per km being phased in from 2020-2021, backed by hundreds of millions of euros in potential fines for non-compliance. The current EU-mandated average for new cars is 130 g/km. Tavares has called for the EU penalties to be suspended until governments roll out adequate electric-car charging networks, saying last month he planned to raise the proposal at a meeting of Brussels-based ACEA on March 7. "ACEA has not approached the European Commission to reopen any discussion of the 2020 goals," a spokeswoman told Reuters. President Donald Trump's administration moved this week to weaken U.S. fuel-economy goals previously agreed for 2022-25 in response to calls for a revision by carmakers. PSA and other European automakers are facing declining sales of fuel-efficient diesel models, making it harder to meet CO2 targets and avoid large fines.